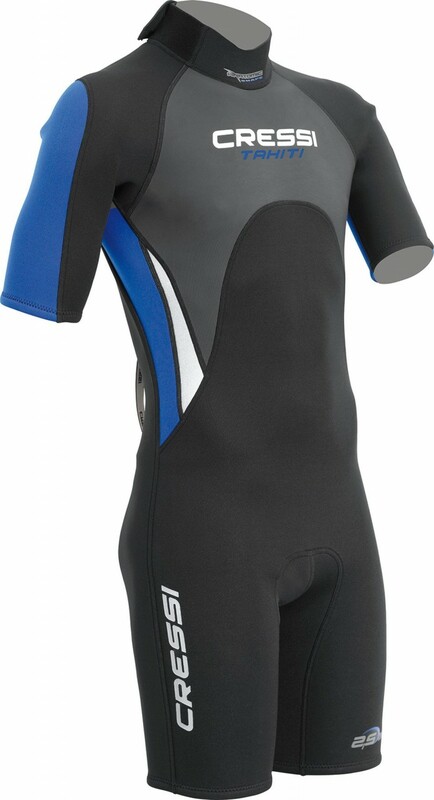 One-piece shorty in 3 mm double-lined high stretch ultra span Neoprene with rubberized chest ideal also for surfers. Donning and doffing are made easy with the back zipper closer with pull tab leash. The Tahiti seam is glued and sewn for strength, warmth, and durability. Perfect for snorkeling, dives in tropical waters, swimming, sailing, and water sports in general. Lightweight and offers a great range of movement and incorporates an adjustable Velcro fastener collar for maximum comfort. Click the button below to add the Cressi Sub Tahiti 2.5mm Shorty Wetsuit Men to your wish list.